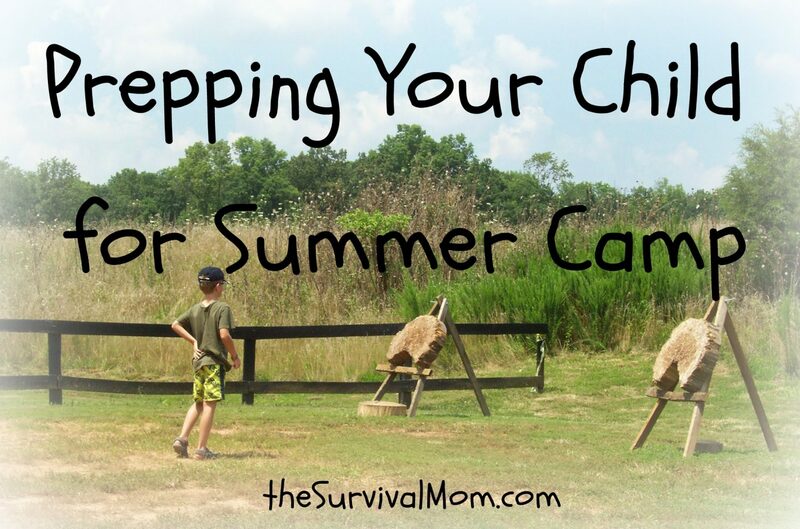 It’s summertime, and summertime means – summer camp for the kids! 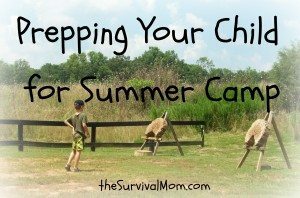 But how can we really be prepared, or make sure our kids are prepared without us, at summer camp? Sometimes, camp is hours from home by car, days if they had to walk home. And disasters can happen at camp, even day camp. A few years ago, something called a “derecho” came through Virginia. (A real weather event – just one no one had ever heard of before that day.) One man I know was at Scout camp when that happened. He described seeing a huge tree fall exactly where he and two boys had stood less than five minutes earlier. Twice, now, I have sprained my ankle at Scout camps. As a kid, I remember literally hopping around to keep weight off my injured ankle. As an adult, I was most chagrined to realize that I didn’t have a bandage in my car emergency bag and the camp didn’t have one either. My husband had to bring one from home! And that’s not even getting into true back-country camping or more adventurous activities. 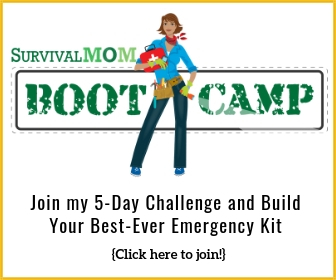 So, what’s a preparedness minded mom to do? Summer camp prep! 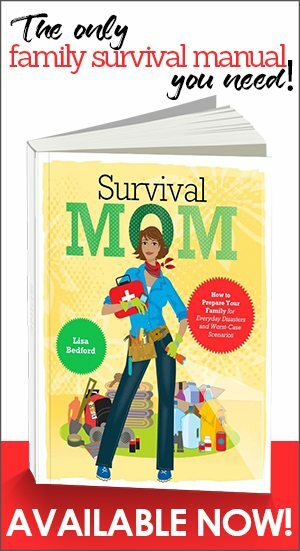 I have boys, so I don’t have first-hand parental knowledge of how girls would do, but I know my boys would not be practical or thorough in their packing. The older one goes to sleep-away camp with Scouts, and that’s the main sleep-away camp that most kids I know go to. Boy Scout camp sends a list of what to pack, but following the list and really packing properly without help…. Well, they’re kids. When an adult, especially a mom, sees “sunscreen” or “bug repellant” on the packing list, they automatically understand that means enough for the entire trip and that the bug repellant should be for bugs expected at that location. In other words, if you are going somewhere with lots of ticks, be sure it’s not just mosquito repellant. And while light-weight is always better to carry than heavy, an extra-light bottle of sunscreen is probably almost empty and not the best choice. However much you help with gathering things and getting ready, make sure your kids actually do the packing. Having them physically handle things and put them in their bag is the best chance you have of making sure they remember what they have with them and where it is. You can save money, spend time together, and get better quality in the process. 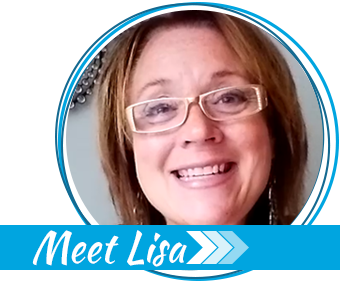 We use bug spray with DEET sometimes – Lyme Disease is no joke – but I’m not comfortable with using it often. My kids and I just made a home-made tick and bug spray that involves essential oils and vinegar (but isn’t supposed to smell vinegary.) Homemade sit-upons and bug balm are good projects too. My boys have also made their own First Aid kits. Unlike store-bought kits, these address problems they might really encounter. The older one is more likely to take longer hikes with not-always-slim leaders. His kit contains both cayenne pepper (for heart attacks) and an oral rehydration solution. They both have vet wrap to use for sprains and they know how to use it. 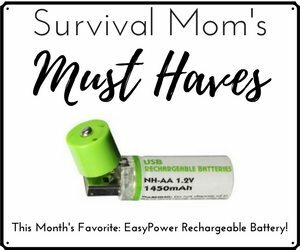 Finally, assuming they have an electronic device with a Kindle or other e-reader app, make sure they have a few survival apps and books, including First Aid, weather, and map apps. Confirm all the apps are fully updated before they leave. The First Aid kit isn’t much help if no one knows how to use anything other than the bandages. Some items may need instruction labels* and you may want to include a contents list with everything in the kit. Even if your child knows what everything is for, they may be the one needing help. There are some things you can’t do much about. If there is an EMP and your child is 200 miles away at camp, they aren’t getting home quickly. But you can help your child be prepared for far more likely problems such as tornadoes, flooding, and other natural disasters. I don’t know about your kids, but mine feel safer and more confident when they know they are well prepared, and I’m betting that will help them feel less homesick at camp. I know it will help me worry a little less! * Some of our non-standard items include an ID lanyard as part of a sling (it should hold most of the weight of an arm), and having both size large and size small nitrile gloves. The gloves are in small, labeled bags. The kids wear size small, but many adults would need large to work on them.